Banks do realize they need to stay competitive and keep up with new technology and trends. Today customers don’t want to wait for too long when making payments. There are so many alternative options which are ready to deliver instant deposits that providing fast payments became one of the keys to success in this business. Banklink is described as safe and fast system which is perfect for online shopping. Unlike other payment options, Banklink doesn’t expose payer’s financial details and therefore excludes the possibility of fraud. Swedbank is one of the major players in several Nordic and Baltic countries: Sweden, Estonia, Latvia and Lithuania. It has branches around the globe including USA and China. The bank has started to operate almost two centuries ago and has gone through various transformations. 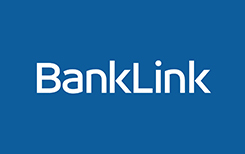 Thousands of customers trust this institution and there’s no reason to doubt its reliability, and Banklink is a premium quality, safe and secure payment system. If you want to use Banklink, you first need to become a customer of Swedbank, since this internet banking service is designed exclusively for the bank users. Only current account holders are allowed to utilize the system. If you keep your money in Swedbank, select any iGaming website accepting this method and proceed to checkout. At the checkout find Banklink or Swedbank logo and you’ll be asked to log in. Once Banklink login information is received the system displays transaction details. Make sure everything is correct and approve it. Once payment is confirmed, it takes several minutes for cash to appear in your gambling account. Maximum you’ll have to wait is 10 minutes. The service is perfect for players who are existing customers of Swedbank or plan to register account with it. Not only the bank itself is highly reliable, but the service is very convenient, fast and secure. Banklink is just an amazing option for online shopping, but casino punters would have one significant inconvenience. Withdrawing cash from casino isn’t possible through this system. However, you can request a wire transfer and get money credited directly to your bank account. In this case it’s normal to wait several days for money to arrive. Every decent casino operator locks the amount you requested for withdrawal, therefore, there’s no threat of spending the money before funds can even be cashed out. This internet banking solution is essential for Swedbank customers. It’s very convenient, secure and simple. That’s all online gamblers need. Without Banklink they would have to look for alternative options to pay online. However, those who don’t have current account with this financial institution would probably find this option unattractive as it would take quite a lot of time and effort before they can make their first deposit. Residents of some countries might have variety of promotions offered by their bank. Customers collect loyalty points for using the service and then spend those points to get special offers. Usually the bank rewards loyal customers with solid discounts on different services. The bank doesn’t provide deals for online gamblers, but gifts and discounts will help you spare some cash for placing extra bets at casino. If you don’t have account with Swedbank, it wouldn’t be rational to choose Banklink for casino deposits. There are simply multiple other options which require much less time and efforts to pay online.